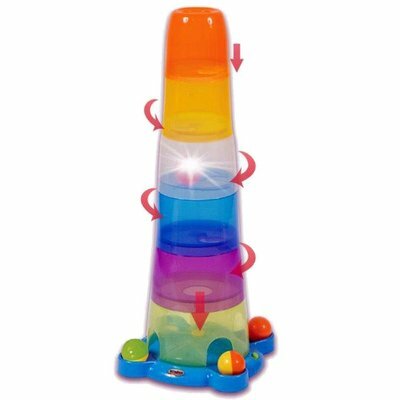 The stack o' fun balls and cups game is a great product by WinFun toys. This game includes four stacking cups. It also features an eye-catching flashing pattern. The ball drop and stacker activity develops motor skills. This will provide children with hours of fun. This product has no lights, no flashing and no sounds. It does not require batteries and is totally over priced!